What does the Bible really say about marriage, divorce, and remarriage? Where does the divorced person stand with regard to remarriage or ministry? This book is an easy-reading explanation of what God has to say about these important issues. 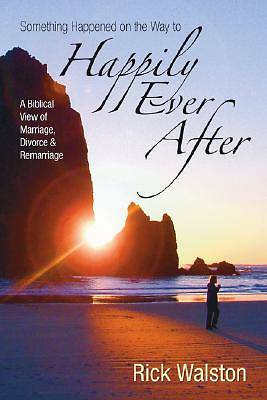 It is truly A Biblical View of Marriage, Divorce, and Remarriage. ""Finally, truth and sense emerge from the fog of confusion and shame. Through this book, many will finally understand these issues from a biblical perspective."" --Marianne Stewart, Pastor of Women's Ministries, The Summit, Evangelical Free Church of America, Enumclaw, Washington ""A painful subject treated with love and gentle humor by a masterful Bible teacher. Dr. Walston's wit, insight, and careful explanations capture the attention using real examples from his own pastoral experience. The scholarship engages without overwhelming."" --Roger Baker, Senior Pastor, First United Methodist Church, Brackettville, Texas ""Rick Walston writes with the brilliance of a scholar, the warmhearted concern of a pastor, and the familiarity of a long-cherished friend . . . but be forewarned: you will also be entertained, challenged, and educated in many other areas of thought."" --Dr. David W. Bailey, Senior Pastor of Reformation Baptist Church, Tavares, Florida ""I find this book to be beyond helpful. It deals with this subject with clarity, courage, and conviction. Rick is never strident, self-righteous, or condescending, but at the same time, he maintains an unflinching commitment to let the Scriptures guide us through this demanding subject and its attendant difficulties. He accomplishes this with deep compassion, sound biblical reasoning, and when appropriate, healthy doses of good humor."" --Dale Evrist, Senior Pastor, New Song Christian Fellowship Foursquare Church, Brentwood, Tennessee Rick Walston is the author of Unraveling the Mystery of the Motivational Gifts and The Speaking in Tongues Controversy. A former pastor, Rick is the founder and president of Columbia Evangelical Seminary.